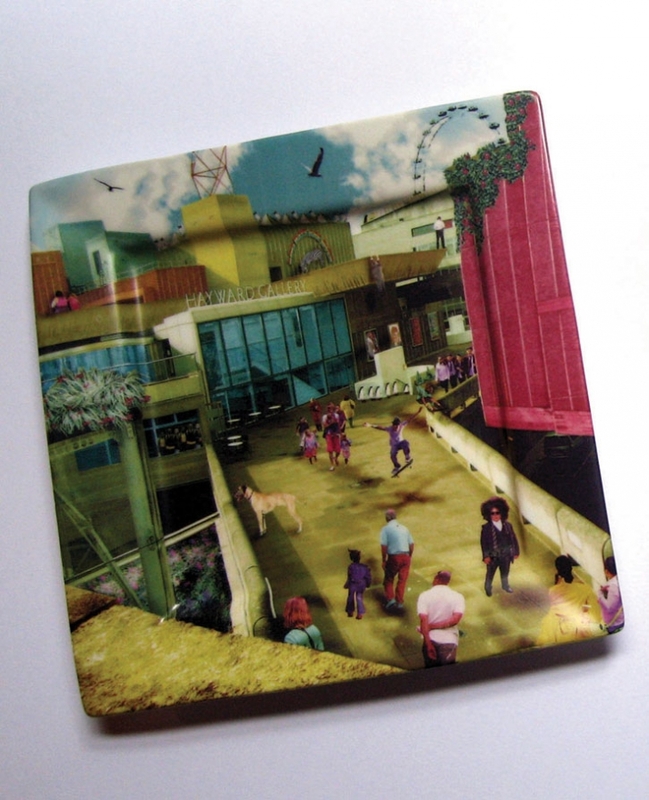 HAYWARD GALLERY COMMEMORATIVE PLATES // Alice Mara decorates ceramic surfaces using a new digital printing process. Approaching ceramic surface design from a different prospective she treats the plate as a canvas. 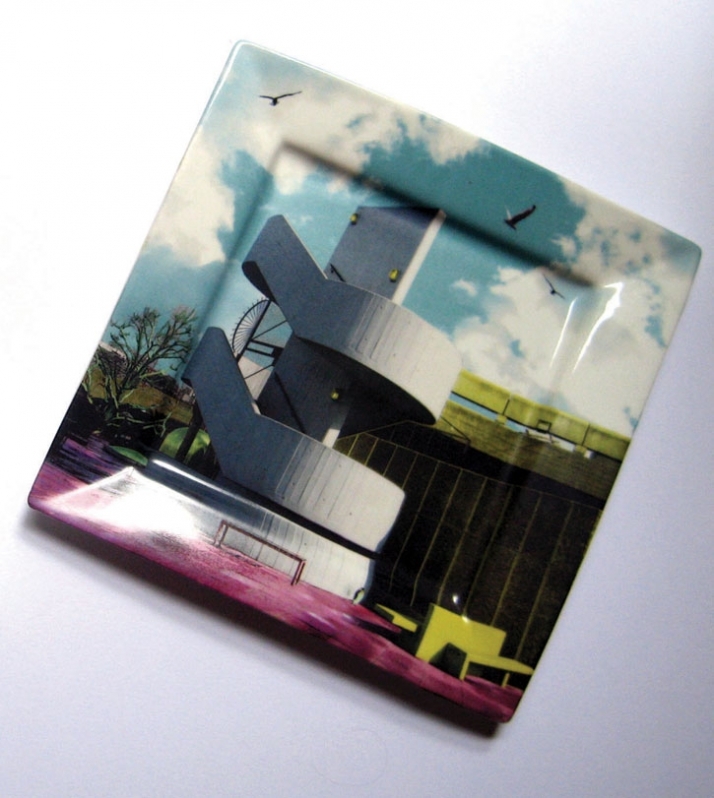 Mara’s surreal, colourful and contemporary plates are inspired by printmakers and photographers from the pop-art era. Using the Hayward Gallery as a backdrop she has made up stories around the building, creating an unreal environment with strange people walking around it. 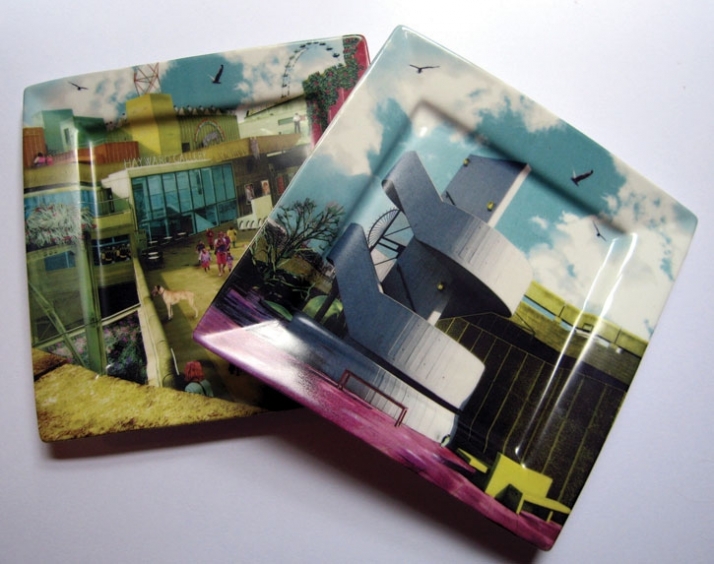 The commemorative plates ( 27cm square) have been commissioned by the Hayward Gallery Shop to co-inside with ‘Psycho Buildings’, an exhibition that commemorates the 40th anniversary of the Hayward Gallery.